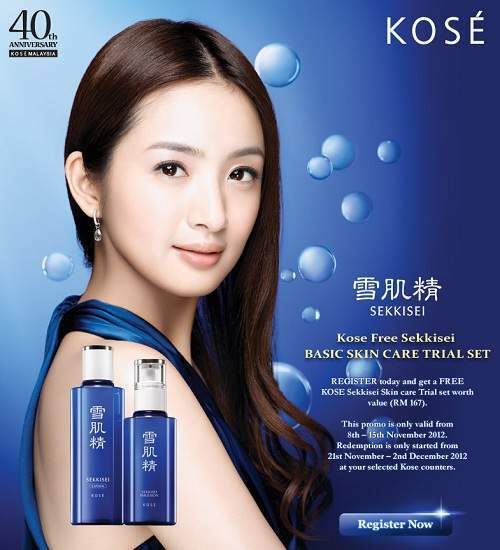 REGISTER today and get a FREE KOSE Sekkisei Skin care Trial set worth RM167 in value. This promo is only valid when you register during the register period above. An email notification will be sent to you. Bring along the email and your NRIC when you collect it from Kose Counter.